This year’s gala fundraiser – An Evening on the Old Algiers – is in keeping with our tradition of spotlighting and celebrating a memorable aspect of Sanibel’s history. We are expecting some 200 guests and can boast a traditional sell-out. We now request your support as well. This year’s gala will benefit the village as it works to enhance the visitor’s experience and increase its community impact. The story of the Algiers harkens back to a time when our island’s growing tourist industry was emerging with simple seaside fun and the thrill of beautiful seashells. 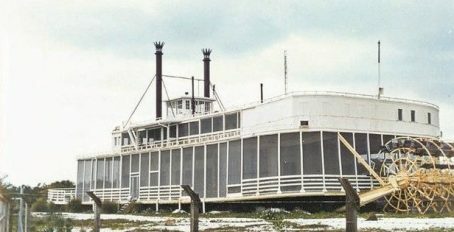 Lathrop and Helen Brown loved coming to Sanibel. 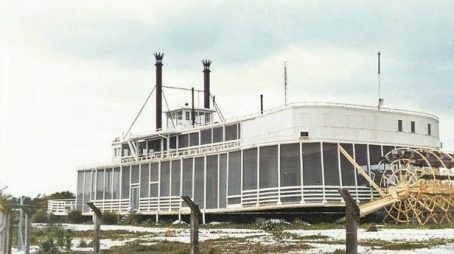 They brought the Mississippi ferryboat Algiers down from New Orleans and converted it into a luxurious houseboat, to be moored in a small channel they created on the Gulf. Alas, fate intervened and all that remains today is Algiers Lane and the romantic legend of a couple in love and their dream to live uniquely on Sanibel Island. On behalf of the Sanibel Historical Village, we thank you.